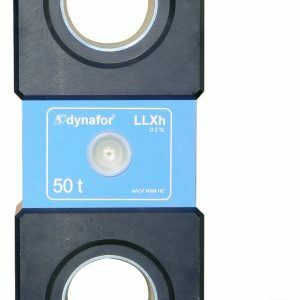 Dynafor LLX2 load indicators feature cross-plane design where upper and lower attachment points are positioned 90 degrees from each other allowing articulation in 2 planes. 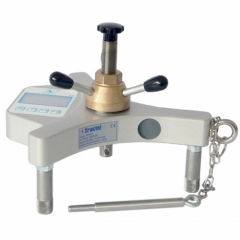 Available display options include lb, short ton, metric ton, Kg, Kn, and daN, with accuracy of .1%. Other features include 2.4 GHz ZIGBEE connection between sensor and display with 260 ft range, ability to monitor up to 8 sensors, and weather protection to NEMA 4X (IP66) for sensor, IP54 for display. 'Cross - plane' design, where upper and lower attachment points are positioned 90 degrees from each other allowing articulation in two planes. 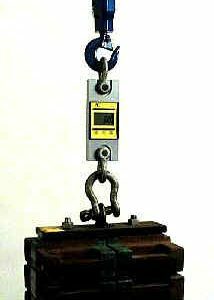 Attachment points designed to use standard and traditional chain attachment accessories. 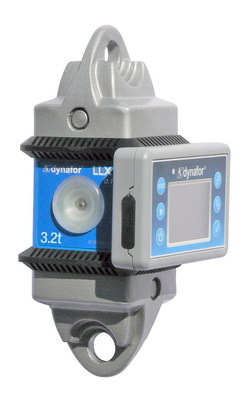 Weather protection to NEMA 4X (IP66) for sensor, IP 54 for display. 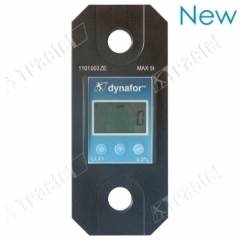 Available display options include lbs, short ton, metric ton, Kg, Kn and daN. 2.4 GHz permanent radio ZIGBEE connection between the sensor and the display with 260 ft. range. Up to 16 sensors can be used in the same area without any cross interference. High endurance: Sensor battery life 300-1000 hours; Display's rechargeable battery life 48 hours of use. Display shows available battery life for both the sensor and the display. Up to 8 sensors can be monitored.